Manna Design and the Southwest Council are pleased to announce the launch of their new website. 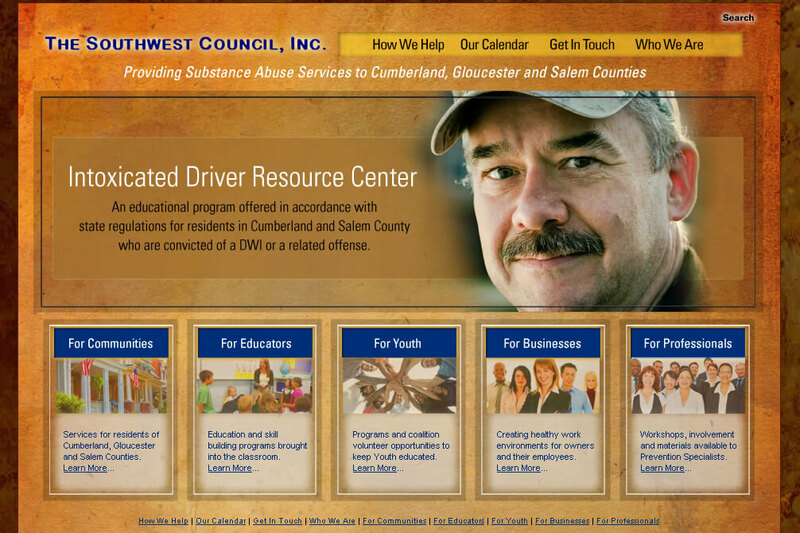 (visit www.SouthwestCouncil.org) The new web site features an easier to use navigation structure, increased information on programs and services and a completely new look for the agency. -Joe Williams, Executive Director The council has been a client of Manna’s for 6 years, with this site being the second Manna has designed for them. The Southwest Council, Inc. , Founded in 1991, is a private, non-profit health agency which provides prevention and education services to the counties of Cumberland, Salem, and Gloucester, New Jersey. The Southwest Council is a member of the New Jersey Prevention Network, a state-wide corporation linking prevention services throughout the entire state of New Jersey.